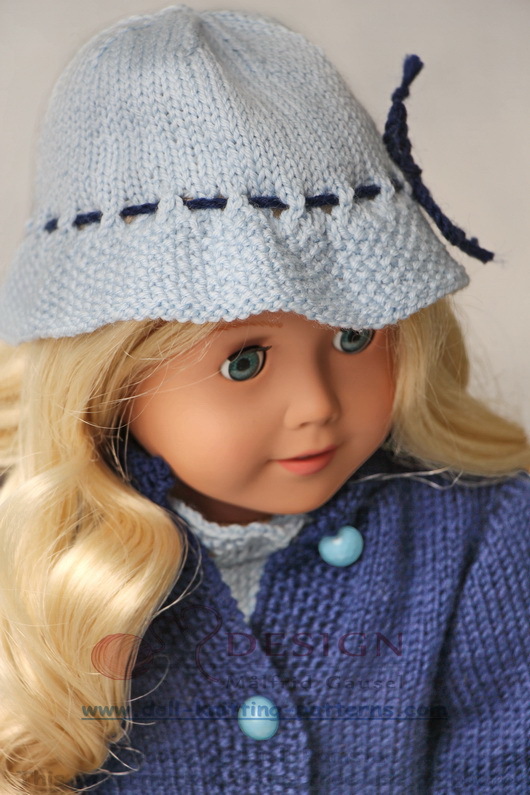 This time I have knitted a garment for my doll in light blue and dark blue. Fine colors together I think. 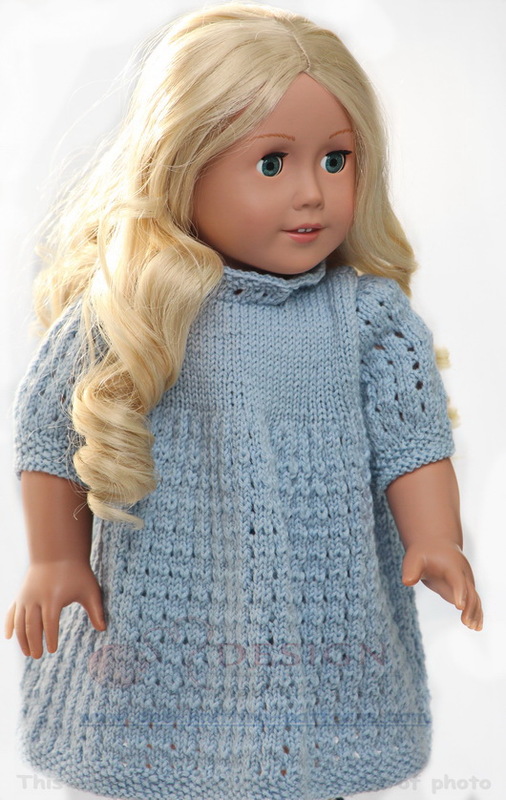 First, I knitted the dress. 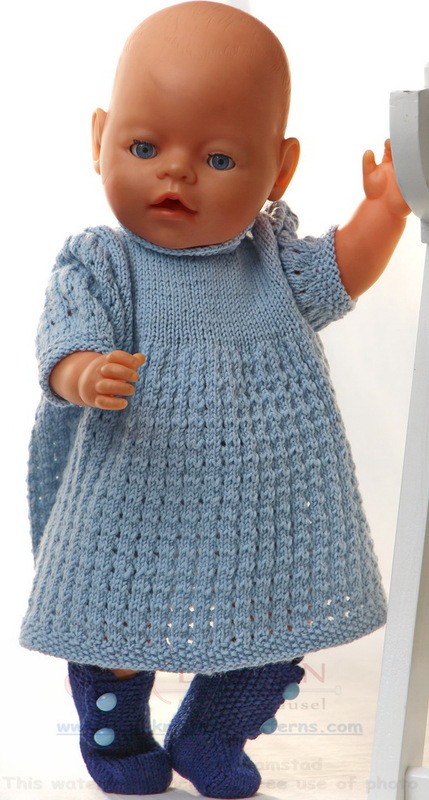 The dress is knitted with a very simple hole pattern. It is wrinkled under the yoke. 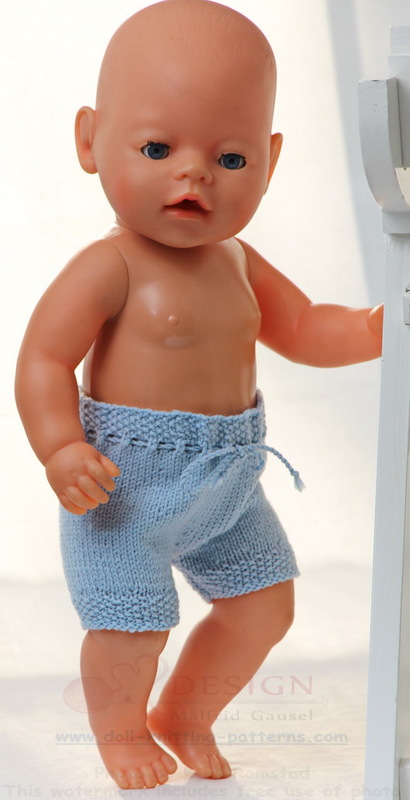 The yoke is knitted in stocking stitches. 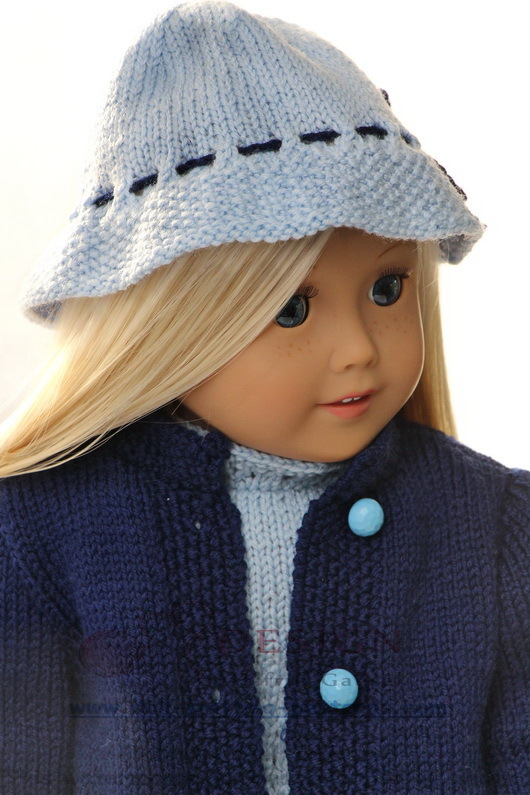 With short sleeves also knitted with the hole pattern my doll Aurora looked lovely. 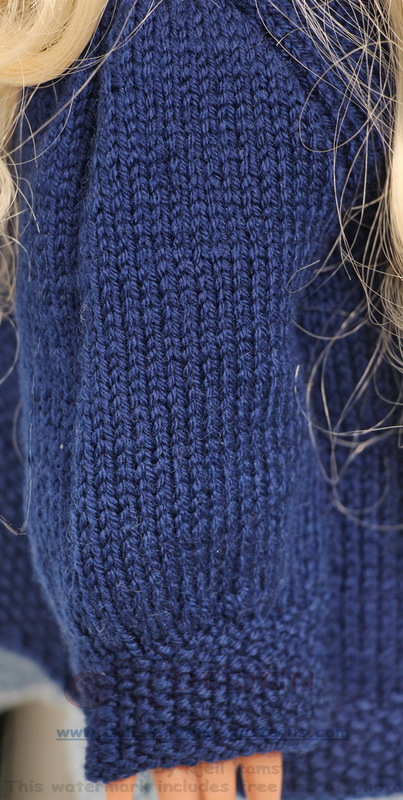 At last I knitted a row of hole pattern along the neckband. ... kept together with a chord through the eyelets round the waist. 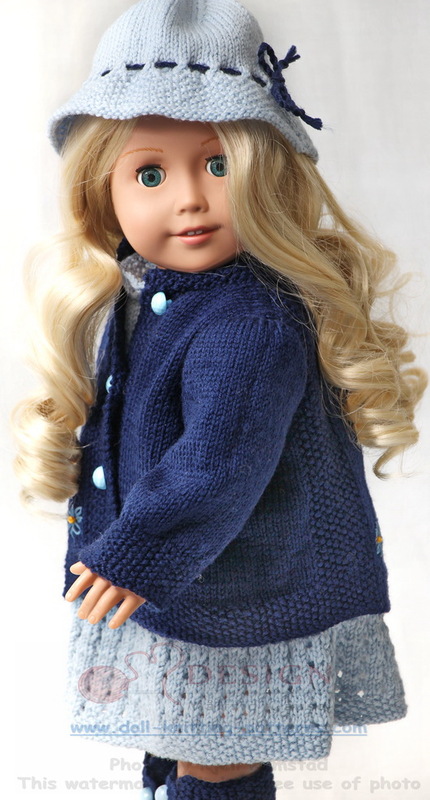 ... the jacket fit Aurora very well. 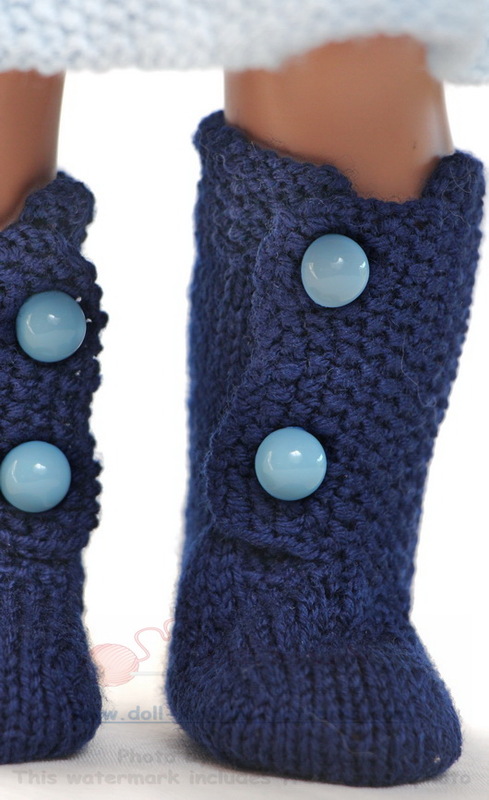 Then I had to knit my doll some shoes. 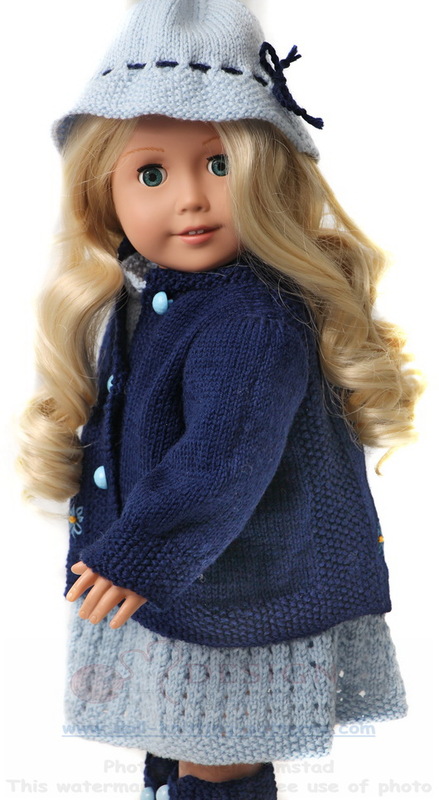 The shoes are long legged and buttoned with the same kind of buttons as for the jacket. Beautiful buttons for these shoes and as belongings to this garment. ... 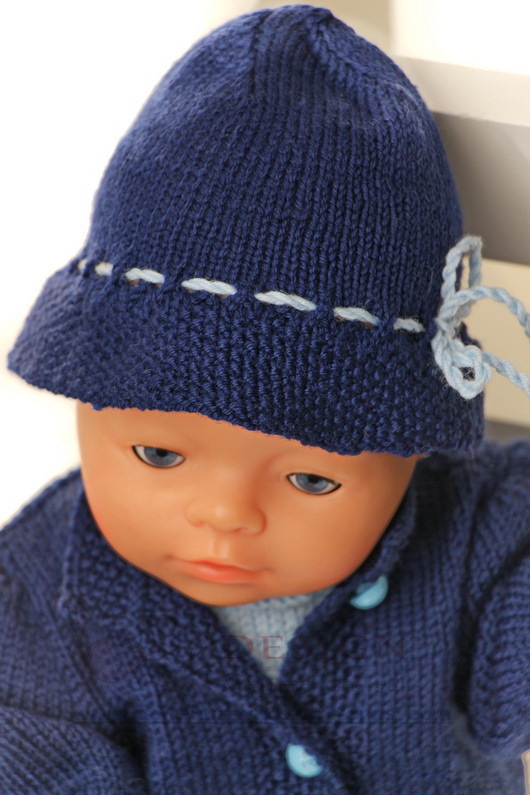 I saw that I had to knit my doll a hat to complete the garment. You will see the hats are a little bit different from each other. The dark blue is a little larger and fit Baby born better. 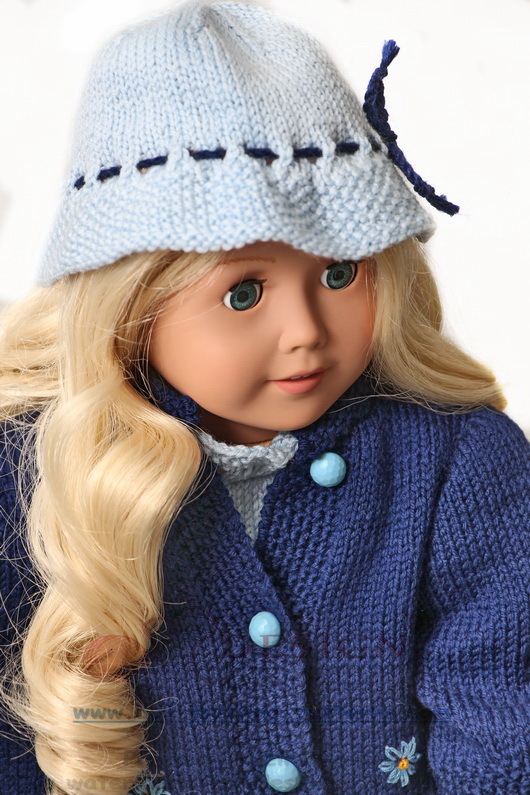 I think my doll was chic in these clothes and hope you to want to knit them for your doll!